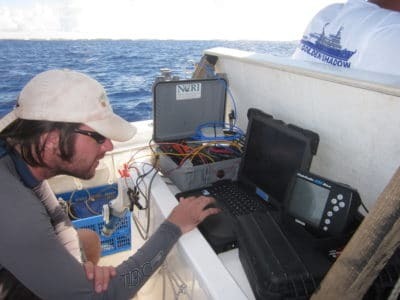 In order to understand the dynamics of a coral reef ecosystem, we must conduct standardized research techniques, which include scientific surveys and habitat mapping. This data helps our scientists to understand the entire picture for what is happening with coral reefs at an individual, country, and global level. We rely on our core staff and research team to collect this baseline data. His Royal Highness Prince Khaled bin Sultan recognizes that scientists, conservationists, and governments from around the world must come together to leverage resources, commitment, and ideas to help protect coral reefs. Embracing our motto of Science Without Borders®, we also regularly partner with a large network of institutions and visiting scientists from around the world to expand the type and quantity of ocean science on each research mission. 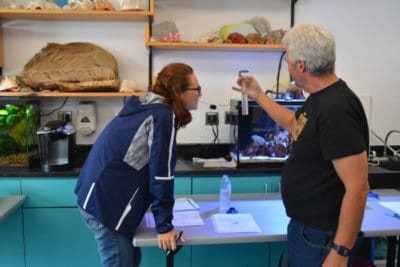 For example, we partner with the National Oceanographic and Atmospheric Administration (NOAA) to assess ocean acidification and Nova Southeastern University Oceanographic Center to collect data and create high resolution Geographic Information System (GIS) maps. Additionally, we collaborate with local organizations from each country where we conduct scientific research. These local representatives provide valuable local scientific knowledge that would not be obtained otherwise. These working relationships will further collaboration between our Foundation and the countries that we work in as well as provide additional scientific research. For instance, in Fiji we were able to collect data about sea cucumber abundance. In French Polynesia, scientists studied female sea turtles as they came to beaches to lay their eggs. 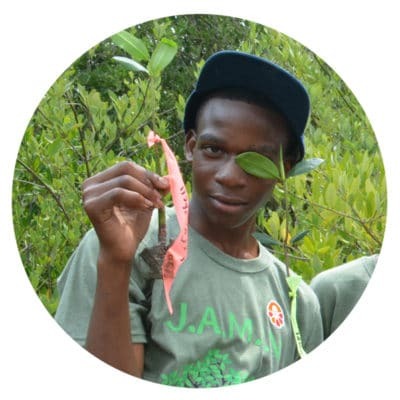 By partnering with other organizations and local representatives, we are able to add additional science and local knowledge to our missions while further understanding these complex ecosystems. In turn, this will help us to better collaborate with countries so we can work together to develop sound environmental management strategies for coral reefs around the world.